On the 19th September 2015, our UK families got together for their very first ZSD family meet up, kindly organised and hosted by Michelle Thompson. Our families spent the day at Synergy at Calthorpe Academy in Birmingham, which was kindly donated for free by Andy. Not only did families get the chance to connect, but we had speakers from around the UK. We were joined by Steve from the charity SENSE, which supports and serves individuals who are deafblind, and by Dr. Santra from Birmingham Children’s Hospital. Ewald Hettema and his wife Alison, a husband and wife team studying peroxisome reproduction in Sheffield here in the UK, also participated in our meeting. 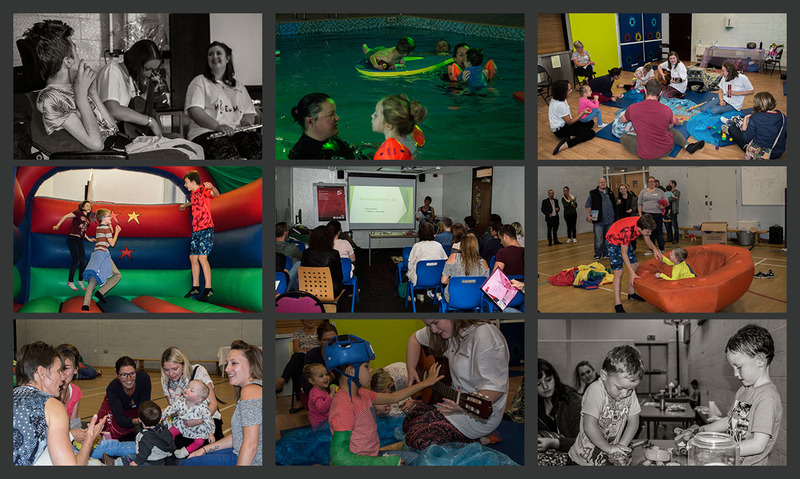 Thanks to a team of dedicated volunteers, each child had an assigned carer, and were able enjoy swimming, music therapy, a bouncy castle, outdoor activities and even had a go at making their own candyfloss with the candyfloss machine. This also gave parents the chance to take part in the talks as well as a grieving session, and even a Dads’ session. Such a wonderful opportunity for parents who can feel so cut off with such a rare disease, a chance to connect with other parents who understand the condition as well as they do. I think one of the highlights for me personally was connecting with some amazing people from SENSE, whose service I will be calling on very soon. Also speaking with Ewald Hettema and his wife Alison, amazing personable people who said that meeting children and families affected by peroxisomal disorders helped give them even more drive to continue further with their work into the peroxisome. And vice versa, meeting our own husband and wife scientist team here in the UK gave families the boost we needed to begin forming our own UK charity to work with the GFPD in raising more funds for the desperately needed research and to help support families effected by PBD. Hence Zellweger UK was born. Our next meet-up is coming up in June 2016; we can’t wait!